Lionsgate has just released the new trailer for Mel Gibson's throwback actioner/thriller Blood Father. The film is directed by the writer of Ben Affleck's amazing film The Town and is directed by French filmmaker Jean-Francois Richet (Mesrine). So far 2016 looks to be Mel Gibson's return to his glory days with this his fifth directorial effort in Hacksaw Ridge, and him being the legendary badass living on the edge kind of guy that made him a movie star back in the 80s and 90s with classic like Mad Max and the Lethal Weapon franchise. His personal life aside, the guy is an all time great movie star and filmmaker. I hope he can be forgive for his mistakes and return to his glory days. Check out the trailer below and then sound off in the comments section below with your thoughts. 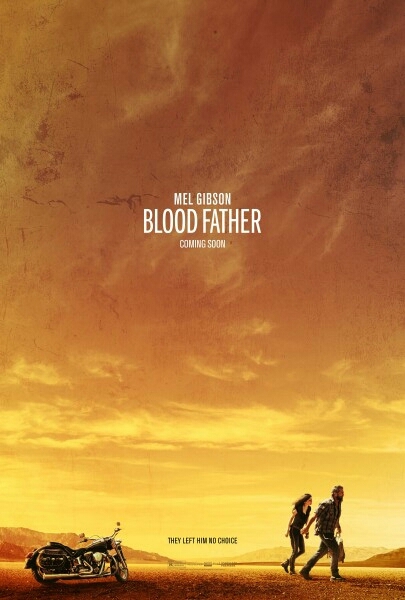 "BLOOD FATHER stars Mel Gibson as John Link, an ex-convict who fights to protect his estranged daughter from the drug cartel that is hunting her down. In this thrilling action film, John must use his connections from his past life and his skills as an ex-criminal to keep him and his daughter alive. " Blood Father is set to hit theaters on August 16th.